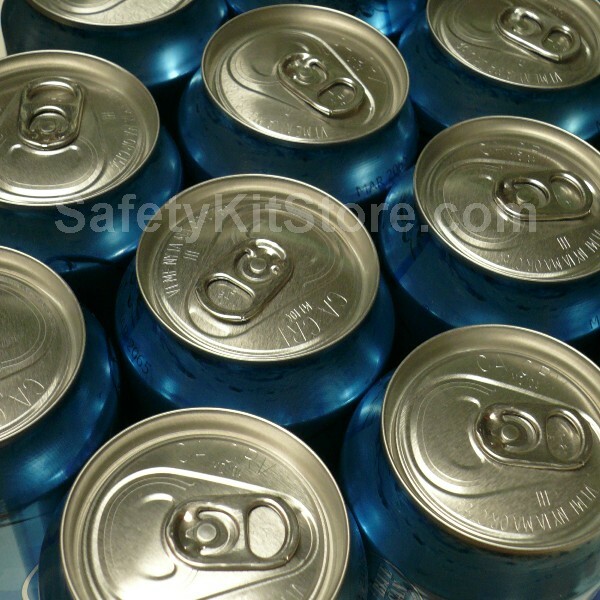 Canned Water with 30 to 50 year shelf life is the new disaster preparedness choice for schools, businesses, governmental agencies, hospitals, public institutions as well as families and businesses. This is the longest shelf live for water you can find. This is the type of water that is processed under use of the latest technology in micro filtration and BPA free canning methods which means you buy once and never worry about it again. Manufactured using an enhanced processing method for canning water, these cans are made for long term storage. Canned in California, this water meets and exceeds highest water quality requirements and undergoes extensive testing through independent water quality analysis laboratories to ensure safety and long term storage capabilities. Added processing steps such as active charcoal filtering, UV light bacteria elimination and enclosed circuit processing and canning eliminate bacteria inside the cans for long shelf life. STOP replacing water in plastic bottles every 6 to 9 months, or drain and wash large water drums that need bleach or other chemicals to conserve the water. And even if you have water packets with 5 year shelf life, with 30 to 50 year canned water you will no longer have to repeatedly spend money on replacing it. 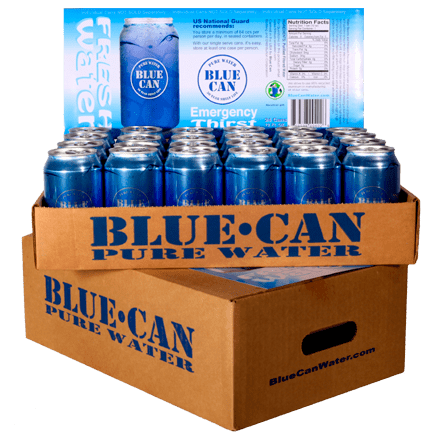 The canned water is made in the USA and the manufacturing process meets and exceeds food manufacturing requirements, so you can rest assured that you will have water available when you need it the most. The Purified Canned Drinking Water will stay fresh for decades, because the cans protect the water from sunlight and other environmental factors such as exposure to air which contains bacteria that can spoil water. 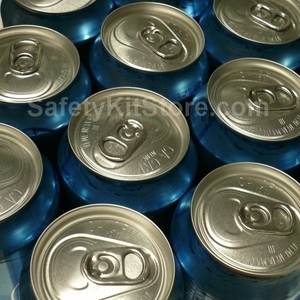 Frequent testing at independent laboratories confirms that the water contained within the cans is 100% free of CFU's (colony forming units - otherwise known as bacteria), which makes this water safe to store over very long periods of time and makes it completely drinkable without additional preparation required. There is no need to use purification tablets or water filters or boiling. Just open the can and drink the water in it. The steel and aluminum cans are eco friendly and fully recyclable. The water is processed and packed using BPA free materials. The packing materials utilize recycled materials and all can be recycled after use again. How much does a gallon of water cost? To calculate the price per gallon, please take the final price per pallet and divide it by the number of gallons per pallet. WorldGrocer 128 132 Not available from us, for comparison purposes only. *Information accurate as of August 01, 2015. Manufacturers might change specifications without notice.